Let go, trust and just take the first step. The path will unfold before you. Walking to Japan is now available! Born in an air raid, Youngs was thrown into the harsh reality of humanity's dark side with his first breaths. No wonder he became a peace pilgrim. His dream to walk to Japan took him throughout the world, trekking over 25,000 kilometres, facing danger, not knowing where he would sleep or find his next meal. 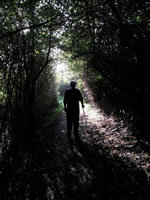 He became known as the Peacewalker, gaining international attention. Youngs came to believe that peace is a process rather than a destination, beginning with the individual in relationship to self, then others, then the planet. For him, letting go—of attachments, of power, his own ideals, and even relationships—was key. His focus shifted from the external to the internal, and peace became a mantra, not a manifesto. Walking to Japan, completed posthumously by Youngs' wife Carolyn Affleck Youngs, shines with simple wisdom, humour, and love. 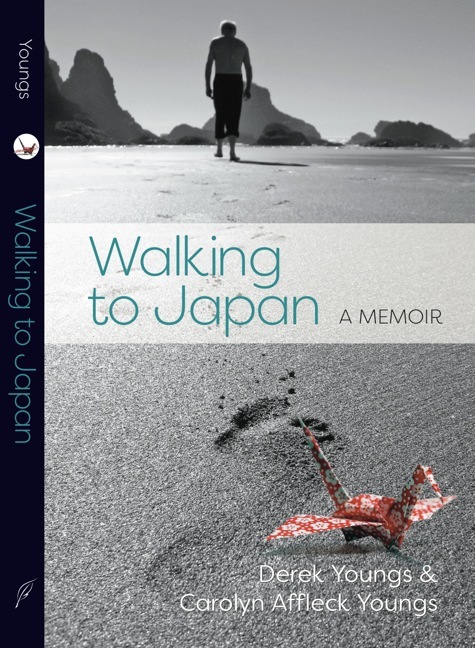 Please visit walkingtojapan.com to order your copy.